The year is 1966. S.H.I.E.L.D. sends secret agent Ran Shen to collect two Nazi scientists with the key to winning the Cold War. But the Soviets want the scientists, as well, and they've unleashed their most dangerous operative: the Winter Soldier, aka the brainwashed and presumed-dead partner of Captain America - Bucky Barnes! His mission: acquire the scientists by any means necessary - or kill them. The only obstacles in the Winter Soldier's way are an elite Hydra squad run by Chancellor Cassandra and Madam Worm - and his own returning memories! It's a classic '60s-style, high-octane spy pulp told at the Cold War's peak, filled with intrigue, adventure, romance and murder - with ramifications that will shatter relationships in the modern-day Marvel Universe! Witness the birth of the man who will one day destroy Captain America: the Iron Nail! 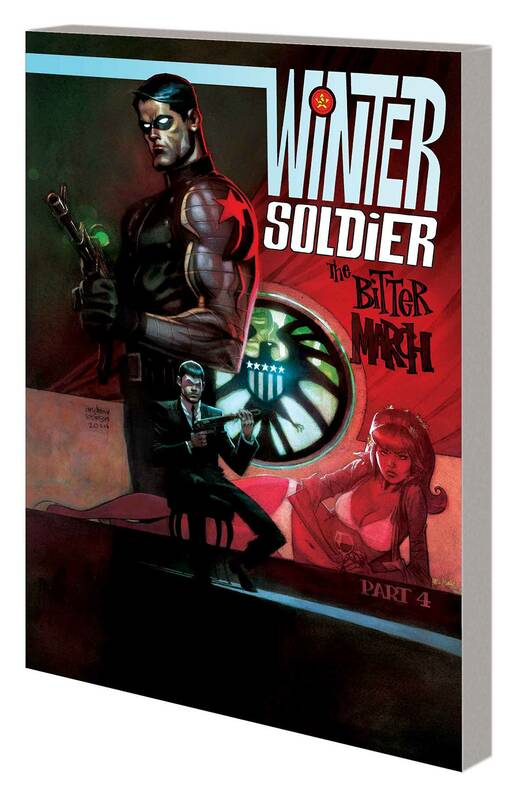 Collecting WINTER SOLDIER: THE BITTER MARCH #1-5.